Marketing trends are always changing, so it’s no wonder there are already projections for the type of marketing to expect in 2018. 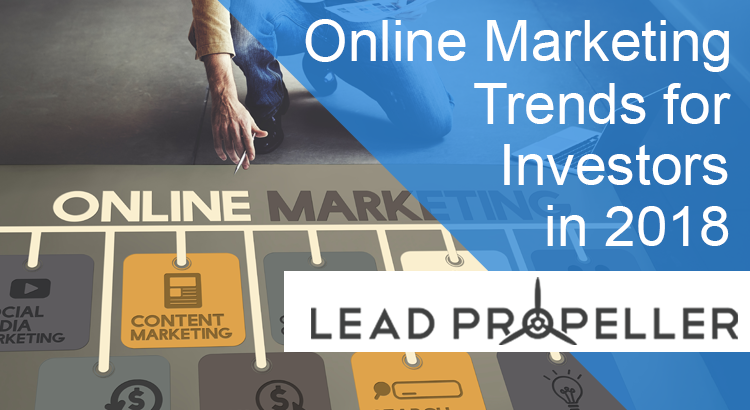 With this year coming to a close, is your real estate investing business getting ready for online marketing trends for 2018? Micro moments are one of the newest online marketing trends that you will be sure to see in 2018. 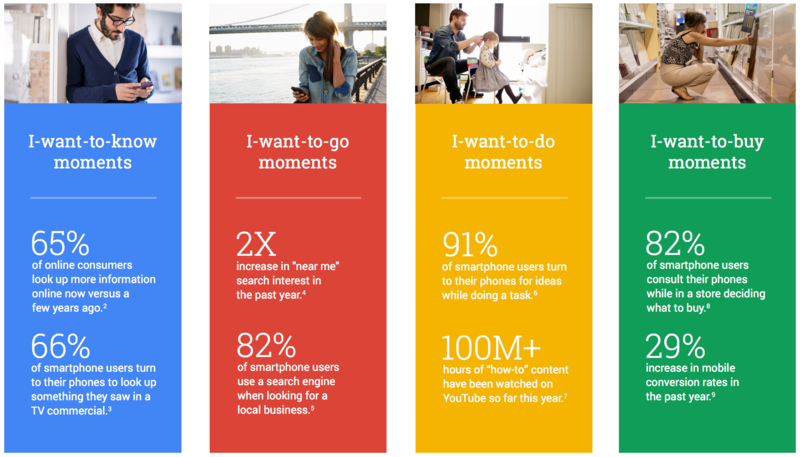 If this is your first time hearing about micro moments, don’t worry. Like we said, they’re pretty new. We’ll do a quick breakdown of what they are and what to look out for in this listicle, but stay tuned to our blog for an in-depth look at micro moment marketing so you can make the best marketing strategy! That definition might sound confusing. Let’s break it down. Need-to-Know moment: when someone does a quick search for information. Neet-to-Go moment: when someone does a quick search for a local business. Need-to-Do moment: when someone needs help from a search result. Need-to-Buy moment: when someone is ready to make a purchase. As a real estate investor, your business will fall under the “need-to-go” and the “need-to-do” micro moments (maybe the “need-to-buy” if you’re a wholesaler). To master micro moments as one of the rising online marketing trends, you need to understand that the obstacle is your audience only wants to give you seconds of their time. Which means, properly optimizing your content marketing and pay per click strategies to answer the queries for your “need-to-blank” micro moments will get your business more engagement with current target markets. Because online marketing trends know that you’re competing for your target audience’s limited attention, it’s no wonder that visual aids in marketing perform better than larger blocks of text. 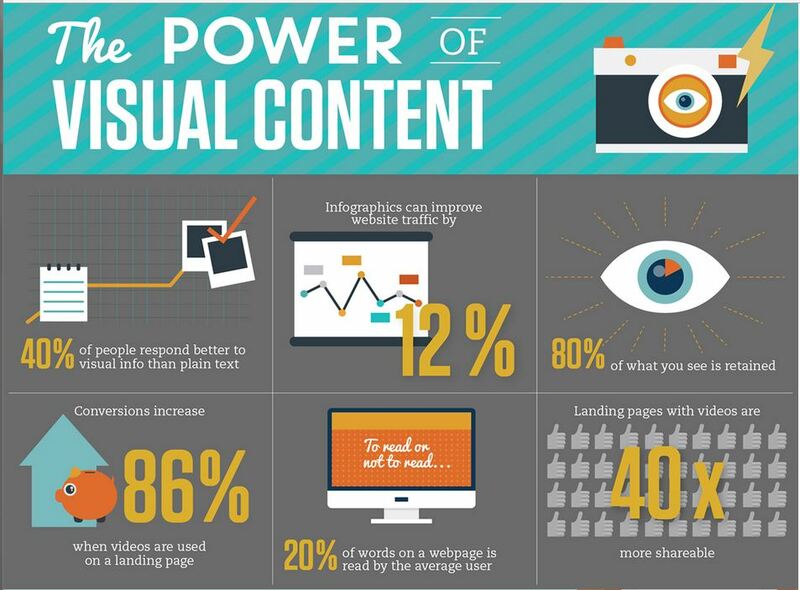 People are more likely to look and and engage with a picture or video than they are with paragraphs. When we were discussing online marketing trends for 2017, we mentioned how important videos are. That trend isn’t going away. Because videos are 100% visual, they get a higher engagement rate from audiences than just normal images do. All of these visual content ideas will personalize your real estate investing business. Adding this personal touch to your marketing will keep you up to day with 2018’s online marketing trends. If you haven’t picked up by now, content marketing is just going to continue to grow in popularity and engagement, so it’s no wonder this is one of the online marketing trends for the coming year. Here’s the thing about content, though: you need to be producing a lot. Because online interest moves insanely fast, your content production needs to keep up. However, you’re a real estate investor, not a content producer. 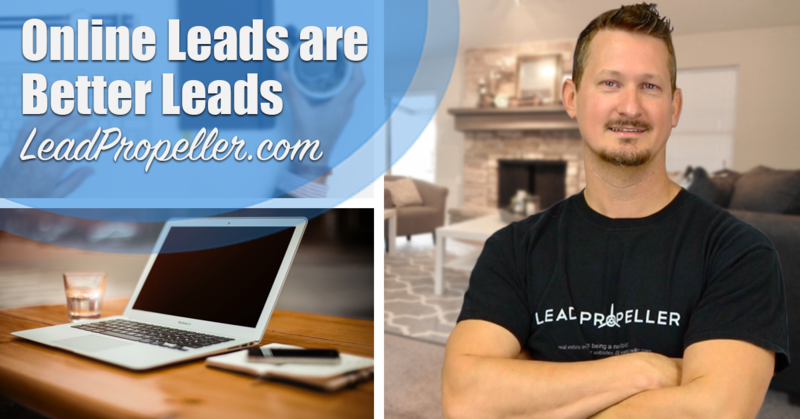 You’re already spending all of your time finding leads and closing deals, so you don’t have anymore to spend producing content like blog articles, interactive images, videos, and more. That’s why spending the money on a high quality content producer is the smartest thing you can do for your real estate investing business’s marketing. Now, this doesn’t have to be someone who comes into your office everyday, you can easily hire someone to do this job remotely. In fact, finding freelancers to add to your real estate investing team is simple to do online. Using websites like Freelancer.com and UpWork.com are great for posting the job you need and finding the right content producer for your business. Honestly, it’s so worth it. We have an in-house content producer who works with a team of freelancers as well to make all of the content for our online marketing. Trust us, the ROI is substantial. 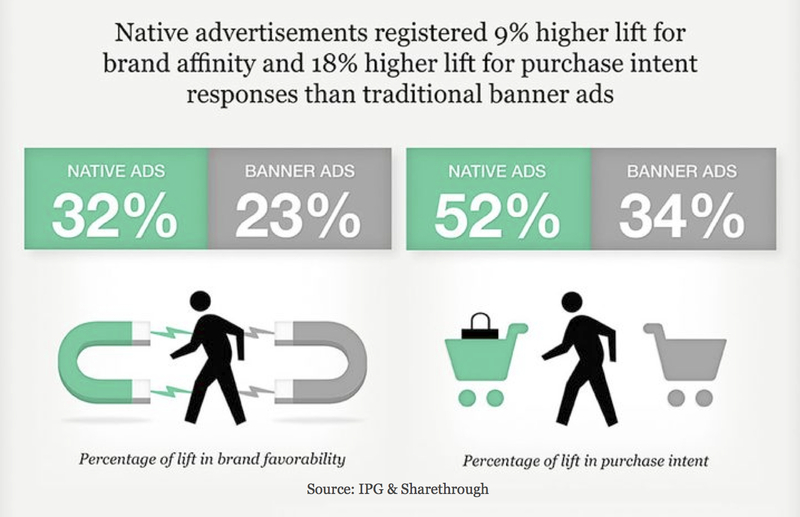 With native ads, you don’t want to outright promote your real estate investing business. Just like the visual content, you want to show your audience the thing that they’re interested in before showing your business. For example, if you’re targeting motivated sellers, this is a great place to use testimonials or before and after images from your properties. Marketing insights are the reports you get on how your marketing efforts are performing. Insights are already one of the more frequently used online marketing trends, and they aren’t going anywhere. Think of marketing insights as the hard numerical proof that your marketing strategy is either succeeding or failing. When you’re looking at your insights in either your AdWords account, Bing Ads, Facebook, ads and so on, you want to look at the engagement rates and the percentage of people your ad got in front of who clicked on the link. When you build these ads, you’ll be able to track who engaged with it in a meaningful way, as well as track who became an actual customer. This will help you to build your perfect ad campaign, while also seeing what it is that your target audience is looking for in a given piece of advertising. If you’re just guessing on how your marketing efforts are doing, then you’re throwing money away without knowing why. The most important part of online marketing is that it connects with your audience in an engaging way. While you are an exemplary real estate investor, the truth of the matter is your time is too important for you to be wearing every single hat that comes with running a small business. If you put on your marketing hat full-time, then your real estate investing side is going to get lost. That’s why getting a professionally managed online marketing service is becoming one of the top online marketing trends for the upcoming year. When you have a professional running your online marketing, you free up your time to focus on your real estate investing business. Which is exactly why we offer expert level, top of the line professional management for your pay per click marketing, content marketing, and social media marketing. Don’t worry about staying on top of online marketing trends, let our experts manage that for you so that your real estate investing business is always on top. If you’ve got questions about our services, or how to get yours today, give us a call! We’re always interested in helping your real estate investing business grow into a massive success. Reach us at (210) 999 – 5187!